is a former soap opera star (One Life to Live and As the World Turns) and has starred in several movies. As many know, Nat was gravely injured in an automobile accident on October 30. He is currently in a Reno, NV, hospital where Elizabeth has been since hearing of the accident. She lives and works in a rural area more than 100 miles north of Reno. Elizabeth has taken time off from her job as a teacher and she has been staying in a hotel near the hospital, which is expensive. While Nat undergoes surgeries to stabilize his condition, Elizabeth still has bills to pay, both hers and Nat's. Monies raised will be used to pay monthly bills as well as any unexpected expenses as they occur. Nat and Elizabeth need funding right away. Any amount, no matter how small, will be of huge benefit to Nat and Elizabeth. Elizabeth and I have been dear friends for close to fifteen years. Right now she is overwhelmed in dealing with this situation. Fortunately, most of Nat's family are now in Reno to support both him and Elizabeth. When I asked Elizabeth how I could help her and her son, she asked me to set up this campaign. It truly is the least I can do at a time when I wish I could be there with her and Nat. Elizabeth, in a phone conversation Tuesday, expressed her gratitude and amazement at the outpouring of love and support from Nat's fans. She asks for your continued love and prayers while Nat struggles to recover from this terrible accident. Here is information from Elizabeth regarding Nat's Memorial. Nathaniel Marston Update Nov.12, 2015: The first of 3 Memorial Services will be held this Sunday Nov 15 in Gerlach Nevada @ Bruno's Country Club @ 4:00 PM. The next Memorial will be held on the Island of Kauai sometime in Nov. Date TBA asap. Final memorial will be held in NYC sometime in Dec. Date TBA as soon as possible. Please share far and wide. And please share this campaign to assist Elizabeth in taking care of Nat's final expenses. Thank you. With final expenses, funeral and travel expenses, Elizabeth will need our continued support. From Elizabeth: Nathaniel Marston: UPDATE Nov. 12,2015 Thank you so much for all your love prayers positive support and light.. Without all of you and all of your love, prayers and positive support I would not have been able to make it through these last few weeks...Memorials for Nathaniel will be set up in NYC, Gerlach, NV and Kauai, HI. The first memorial will be on Kauai... I will be leaving in the next week to be with my family on Kauai so that I can be with Nate's younger brother Kai, his sister Lani, his father Ali as well as all of our Ohana/family and friends... I need their support right now so will spend a few weeks or perhaps as long as a month there ... then I will come to NYC to spend time with friends and fans and to have the East Coast memorial... I am looking for an Episcopal Church in NYC to have Nathaniel's memorial service, so if any of you are members of an Episcopal congregation and have contact information please contact me, here or in a Private FB message. Thank you sooo much. Please excuse me if I am not able to respond to your beautiful messages and postings which express your love and condolences.. I read them and they help .... but I do not have the strength to respond yet . I promise that I will respond to each and every message as soon as I am able ..OK? Thank you, thank you, thank you. Your love, prayers,and positive thoughts continue to hold me up. 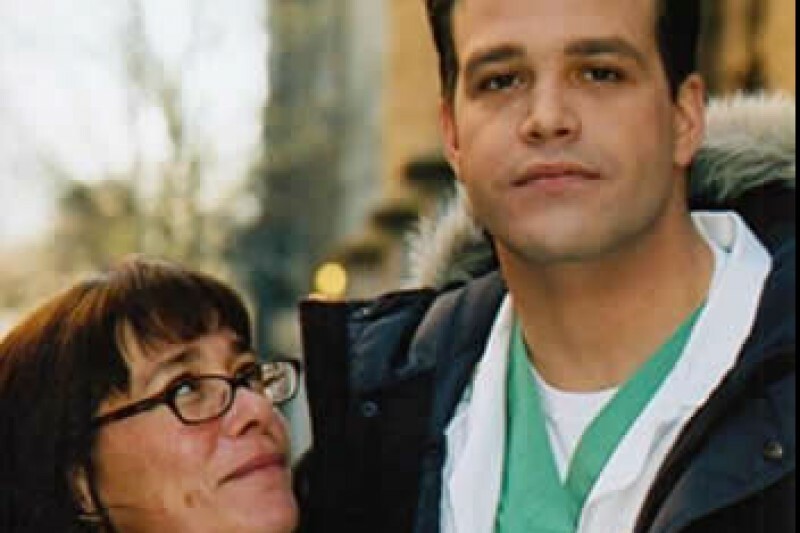 From Elizabeth: "Nathaniel Marston UPDATE: November 11, 2015 - Dear family and friends, it is with a heavy heart that I share this devastating news. My beloved and cherished son, Nathaniel Marston, who was putting up the good fight until last night was not able to continue due to the traumatic and devastating nature of his injuries. Nathaniel passed away peacefully as I held him in my arms. Father William, myself and his second Mommy Lisa, and our dear friend Charlotte were by his bedside, he was not alone. His injuries, which Dr.’s did their best to heal were not responding to treatment and one after another his bodily functions failed to support his life. Arrangements will be made for a memorial service in New York City, NY, Kauai, HI and Gerlach, NV. As soon as dates for these services are known they will be posted. Again, thank you for your prayers, your love, your kindness and your friendship which has allowed me and my family to be strong enough to be by my son's side for these past 12 days. The outpouring of your love came as an unexpected gift and I don't know how I will repay you for all of your love, prayers and support. Thank you for sharing your love, your experiences with me about how my treasured child, a man who grew into an individual who touched more lives than I ever could have known." I wish to thank every person who has contributed to this campaign. Now the money raised will be used to settle final expenses and support Elizabeth as she grieves the death of her eldest child. Thank you for your compassion and generosity. Amazing and generous! That's what you are! Thank you so much for your generosity. We are almost at our goal in just seven days. Much gratitude to all who have donated. My name is David Coleman and I spent almost 30 years at 'One Life' as a security Guard. Nathaniel was so helpful to me when my twin brother passed away back in 2004. Even more then the words of comfort and support, I remember that hugs he gave; they were hugs from the depth of his soul, with nothing held back. In each of those 10 seconds vignettes, Nathaniel had given me more of himself then others had in a lifetime. I knew then, that if greatness is defined by the depth of one's spirit, Nathaniel was truly among the elite. Whatever issues he may have had was because he never held anything back, not in acting and certainly not in life. As long as THAT spirit endures Nathaniel will go on continuing to be a great human being regardless of any conditions. God bless and Good Luck to Nathaniel for a safe and speedy recovery. Thank you so much for your support which will enable me to to stay by Nathaniel's side during this most difficult, challenging and horrific moment in mine, my families and Nathaniel's life. Blessings to each and every one of you for your support, prayers,positive thoughts, kindness and generosity. Sending love and light to each and every one of you.. Warmest wishes now and always. Sending prayers out to Nathan and his family . I would love to donate but i cant send anything out till Dec/Jan . U have my deepest prayers for a speedy recovery . Nathans more than just a celebrity hes a friend ! Hi Janice, I was wondering if we could raise the cap? We can't mend dear Elizabeth's broken heart but we could help take some financial burden off her. With the many services there will be in different locations there is sure to be expenses. Than you for setting this up for her. Sending constant prayers. Such a talented guy. Him and his family will remain in our prayers. I just wanted to personally thank everyone for your love and support through this difficult time..My brother Nathaniel was an amazing friend ,brother, son ,and father he was the type of guy that would give you his shirt off his back if you were cold and give you his last dollar if you were hungry. .he was an inspiration to many and had a heart of gold. ..he was a very passionate person in every area of his life ..he was and will always be a legend in my mind. .he was the big brother that could make things happen when situations felt hopeless...he was the big brother that could fix anything ...he always could find a way to make things work. ..he was a kind compassionate soul that would always stand up for the little guy and anyone in need ..words cannot describe how much our family will miss his smile and his huge hugs he is loved by many and will never be forgotten..I'll be looking forward to the day that we will meet again. ..the world has lost a great man but heaven has gained a greater angel..he always wanted to return to kauai and live out his days in a more simple way like when we grew up as kids here with our dad Ali Martin Birtodaso and mom Elizabeth Jackson ...he will be returning soon to be in the ocean that he loved so very much to watch over all the ohana and the keikis for eternity. ..He will always be the light that shows me the way when things seem dark..he may be physically gone but legends never die and he will always be in our hearts and minds forever..
Elizabeth, I am deeply sorry for your loss. There is nothing more painful than the loss of a child. I watched my parents go through it 34 years ago when my sister was killed in a motor bike accident just two months shy of her 19th birthday. It changes your life in ways you never expected. Because of what happened in my family and how it affected my mother and dad , I find that I have become extremely sensitive to others who have done through a similar loss. I was a fan od Nathaniel's from his time on One Life to Live. He was such a talented actor and he seemed like such a nice young man. Reading the posts here from people who worked with him and knew him, I can see that he certainly was that and so much more. I pray that God will help you through this difficult time. Losing a son at 21 - life changes forever. When the Memorial Services you plan are over - it can really be worse. Sending prayers for internal peace. He will be with you always. I am sorry you have to experience the worst type of loss any human being can go through. He was Blessed to have you by his side . I am so sorry for your loss. I cannot even imagine the pain of losing a child. My thoughts and prayers are with you and your family. I am Episcopal. I am in NJ, but there are several Episcopal churches in NY, including Grace Church and St. James. You can contact the Episcopal Diocese of NY to find more (link below) http://www.dioceseny.org/find_church/search I hope you find the perfect place. Blessings to you!!! 1st met Nathaniel while I was working on OLTL and then ran into him a number of times while living in Hell's Kitchen, NYC. Great guy, Always a pleasure to see this friendly, open & "real" man! I'd love to be informed when the NYC memorial service will be happening and will attend it! My thoughts are with his family. It was a pleasure having known you. To Nathaniel's family and friends, I am so sorry for your loss. He was a talented actor. May he rest in peace.